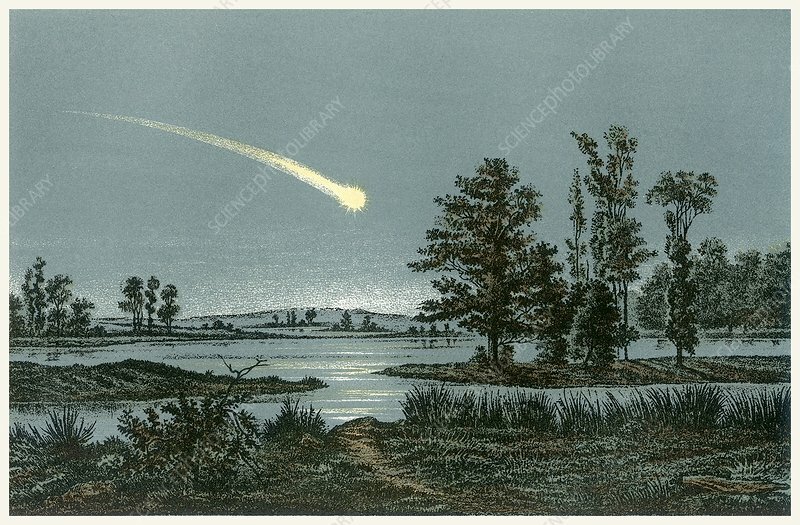 Meteor, or shooting star, artwork. A meteor is a small space rock traveling through space. Most are fragments from comets or asteroids. If a meteor enters Earth's atmosphere, friction will cause it to heat up and produce a streak of light as it burns and disintegrates. If a meteor survives its passage through Earth's atmosphere and reaches the ground, it is called a meteorite.